Review: "Webtrends Optimize: A wonderful implementation"
We have a few teams that build tests and target/track content on the same pages. Webtrends will detect and assist in preventing collusions during these tests which help prevent negative experiences for users that create inaccurate results for our business. It helps us streamline our workflow by having multiple work elements all on one page so you can make sure there's no discrepancies. Webtrends helps us build and manage tests and targeted marketing/user experiences. It allows us to test content, layout, functionality and design on multiple platforms. It makes content testing content easier due to its intelligent design, where it prevents cracking/collusion between testers. The cost is a factor. When you're trying to save money, particularly as a startup (a lot of our clients are up-and-comers) it has to be seen as an investment...but the cost to implement the system is fairly large. There's a bit of a steep learning curve, you can't just dive into the program. It's not impossible but it's not as easy as snapping your fingers to easily implement the program cross-platform. This is great for data tracking and particularly, predictive behavioral targeting for your audience. We work with a lot of consumer traffic, identifying and studying patterned behavior – where the most clicks are, for example, and with Webtrends customized reporting and data collection, it really makes organizing all this information very easy. It's best suited for large industries that have the funds to start with this program. Maybe not quite ideal for startups. Webtrends Optimize Review: "Optimize your Customer's Journey"
Webtrends Optimize is a godsend for marketers working in e-commerce. It has helped increase overall usage web metrics of our website while allowing us to serve users with a more personalized and tailored content to increase conversions and ultimately help us make our sales goal for the year. 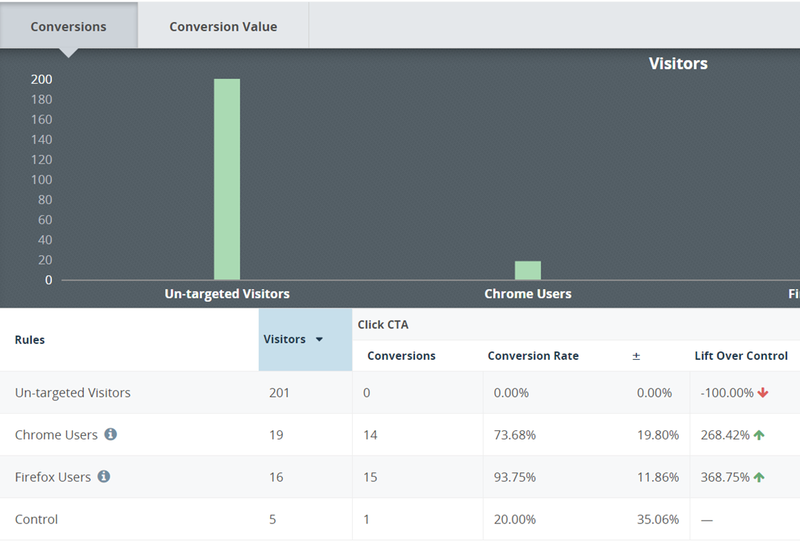 The optimize solution offers a lot in regards to a/b testing for our marketing dept. Webtrends optimize is a marketing solution aimed squarely at transactional and eCom based websites. I would only recommend a colleague to engage with the solution once the marketing dept is at a point where their website is fully optimized in regards to SEO and all the other fundamentals in order to truly build upon what Webtrends can offer. This shows you an easier way of measuring your ROI and the money you will invest with the tool-moving forward. Webtrends were brought into our business to help shape and implement our online optimisation and personalisation strategy. The whole business is involved in working with Webtrends, but the account is managed by the e-commerce team and marketing. As even the smallest changes on a website can have a drastic effect on conversion rate, or the movement of customers through shopping funnels, we rarely make changes to the website without first running a test. Helping shape our optimisation roadmap. If you've been working on a website for a long time sometimes you can't see the wood for the trees. Webtrends provides us with a fresh set of eyes and opinions, as well as a wealth of industry-wide E-commerce and UX knowledge. They are excellent at hitting deadlines and providing accurate lead times. The account management team are really superb. So far I haven't encountered any problems. Well-suited: Don't make changes to your website based on assumptions, good ideas or customer feedback without first testing its impact on conversion rate. Less appropriate: Testing is quicker with a lot of traffic. Don't waste time testing where there isn't any traffic. Webtrends Optimize: "Optimize Review - skilled developers, knowledgable consultants and a positive ROI." We use Webtrends Optimize to support the product owners and other areas of the business to test features; whether it delivers value and should be fully developed. Working as an Agile team we work together on test ideation, build and continual optimisation; providing insight across all areas of the business as well as support the self service tests that teams want to launch. Build complex and sophisticated tests. The UI is not as intuitive as it could be, but you soon become familiar. Webtrends Optimize is a great tool to measure the impact of tests on the bottom line (order, conversion rate etc) and can be used to build complex tests that have significant impact in informing strategy. Webtrends Optimize Review: "Using Webtrends in an International site environment"
We're using Webtrends Optimize to help resource our testing activities while we establish the best process for sourcing and planning in tests. We are an international team, with presence across the globe but taking central direction from HQ in the US, therefore it's been important for us to have a testing platform and vendor which is flexible and fast moving. Currently we're using experimentation to identify market differences from global design, and to go deeper into these differences with further tests. Account management is key, and has been great for us. Our account manager is responsive, with plenty of input into our ideas and overall process. Access to the test results and reports is great as it helps to quickly get an idea of how the test is performing. Test plans are detailed and robust, covering a number of areas we'd previously not thought of, and giving us a clear overview / history of each and every test. We'd have liked to have a better idea of how the analysis is done, and how certain criteria / factors are calculated. As we're not all experienced in testing and/or BI we don't always fully understand why one metric indicates a certain result and others don't. We've used the simplified, self-serve tool before, but found that it doesn't have the functionality we'd like to be able to set up the type of tests we're after. We've not used Webtrends extensively as yet so it's hard to truly comment on on areas it's well suited and where it's not. It does seem that for quick testing, with indicative results that keep you iterating it's very useful due to the speed of the test set up and the quality of the account management though. Webtrends Optimize Review: "Excellent consultancy, suitable for complex tests and in-depth analysis of test results"
We use Webtrends Optimize for running A/B and MVT tests, serving targeted experiences and collecting information about the performance of different functionalities of our website across multiple markets. Using the tool we find answers to specific business questions that come from different departments across the company. Excellent consultancy - the consultant that works on our account understands our objectives and comes with great ideas. He keeps us focused on our goals and helps us to get the learnings from the particular business question we are testing quickly. At the same time, he is always up for a challenge and we manage to build very complicated tests really quickly. The tool has the option to collect custom variables. This helps us to assess the results from a particular test in great detail and make informed decisions based on test results. Easy integration with any analytics tool which allows more in-depth analysis of test results. Easy implementation - it is just a copy and paste of the code. Takes seconds if you are using a tag container. Regular, detailed reporting for each test. Regular update on progress, and review meetings which allows us to address quickly any issues. The UI of the tool is not intuitive. However, the consultant assists with training and detailed step-by-step instructions how something works. Export of custom variables collected with a test could be improved - currently, data processing and preparation of the exported data could be time-consuming. Not a very flexible pricing model - upgrading the service on a temporary basis cannot be easily done. 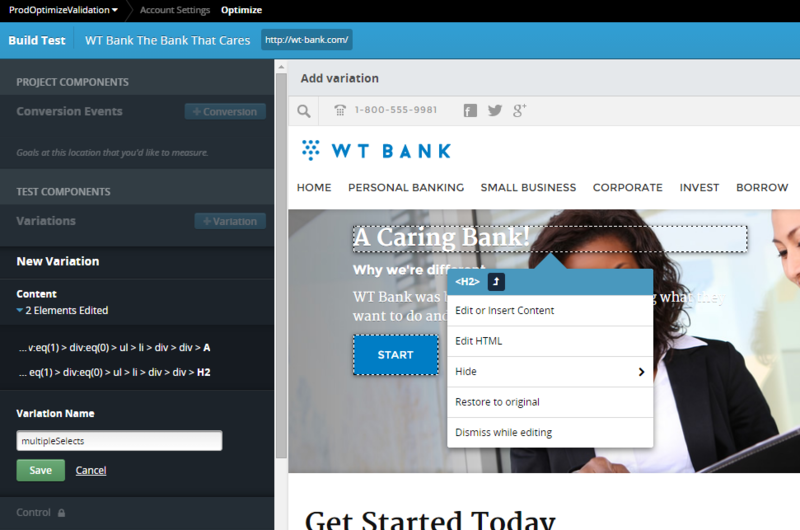 Webtrends Optimize is very useful for building complex tests that affect a lot of functionalities on your website. It is very useful if you want to use it for collecting data on a particular functionality on your website performance. It is ideal for tracking multiple conversions and providing you with detailed information about the test performance which allows in-depth analysis. Webtrends Optimize Review: "Helpful tool for CRO"
Webtrends Optimize Review: "WTO - Great optimization tool"
Webtrends Optimize is used across our locally maintained sites in order to increase site clicks, site engagement and to drive up lead generation. Detailed UI with abundance of options. Easy and quick to implement. Powerful object framework that makes coding tests that much easier and faster. Good for complex tests but can be a bit unnecessarily time consuming to set up run-of-the-mill simple 'this vs. that' tests. UI can be a bit sluggish at times. Quite suited for complex tests with countless options to make tests appear exactly in the way you need. Webtrends Optimize Review: "Expert Platform"
Present in our Digital Site Optimisation function, Webtrends Optimize provides the capability to execute end-to-end AB/n and MVT testing across the Group's live sites. Moreover, the platform's targeting capability provides extensive benefit. - Segmentation, reports, metrics and general UI is clear and extensive. - Consultants are highly knowledgeable, supportive and continuously deliver to deadlines. A less generic package that can be further tailored to the needs of the specific company and industry. Review: "Optimizing with Optimize: Webtrends Optimize"
Webtrends Optimize assists with a managed service that enables the provision of AB and MVT experiments which can often be complex. Dedicated optimization consultants such as Cecilia Ercolani provide key points of contact which improve user confidence. It is much more powerful when used as an incremental testing tool rather than a large complex testing tool. Webtrends Optimize Review: "Data Drives Conversion"
Various MVT and A/B testing has been used across our websites driven by our UK eCommence department. Optimization can be a complex area to understand. Webtrends Optimize broke down the tests in to an easy format to understand. Review: "Webtrends Optimize Leaves Much to be Desired"
Webtrends Optimize is being used across the organization primarily for A/B testing, but is also being leveraged for it's targeting capabilities. Intuitive test set-up makes for a low learning curve. Ability to create custom data tables which enable exporting of visitor level data for more in-depth analysis outside of the Webtrends Optimize platform. Visual Editor WYSIWYG interface enables non-technical users to easily execute basic tests. Inability to configure multiple segments or targets within a single test - a separate test must be set up for each individual segment - which leads to significant inefficiencies in both test set-up and reporting. This makes segmentation discovery difficult, and hinders an effective targeting strategy. There are no pre-configured integrations with other data source - integrations must be done client-side. We've experienced high timeout rates compared to other tools that we've used, which results in a relatively high number of visitors that are served the default content and are not included in the test. This presents several issues, but one being that it can take significantly longer to reach sufficient sample size for a test. More extensive documentation and support content pertaining to some of more advanced topics (e.g. data tables, integrations) would be helpful. There are certainly a few things to consider. If you're looking to run A/B/n or Multivariate tests with some basic segmentation or targeting then Webtrends Optimize is capable of providing that. If budget is a major consideration then that is another area where Optimize may be more attractive. However, based on both of these criteria it is my opinion that there are other tools out there that provide more value. For segmentation discovery, identification of user affinities, and execution of an effective targeting and personalization strategy then there are certainly other tools that should be considered. Review: "Webtrends Optimize - Helping you make the right decision online first time every time." The Webtrends Optimize platform is used within our User Experience and Optimisation team. The platform is used in a variety of different ways from testing new creative ideas to de-risking projects through progressive roll out and throttling. Data - The insight you can gain from the Dashboards is invaluable and allows you to keep visibility of the test throughout its complete life cycle. Integration - Unlike most platforms Webtrends is very easy to integrate into your site meaning you can be up and running in no time. Cost - The best thing about an A/B & MVT testing suite like Webtrends is it provides the ability to test your ideas before building the idea into your core code base. This helps to provide significant cost advantages as it allows you to test early to see what improvements can be made and what are the potential ROI benefits of implementing change helping you to build a robust business case. Not only that but you can also use the software to mitigate risk through incrementally rolling out new ideas and monitoring the resulting impact. Interface accessibility - The interface in some instances can be hard to navigate. I found it to be a very comprehensive tool that helped increase ROI. 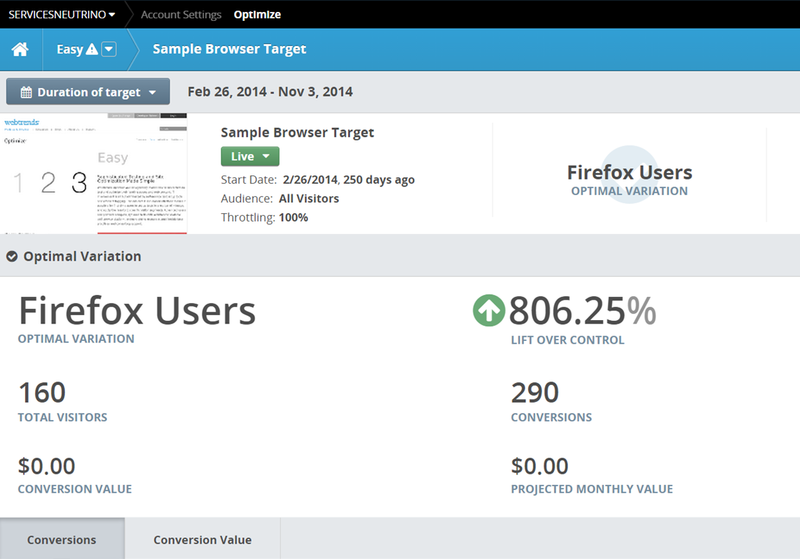 Webtrends Optimize Review: "Helpful tool for improving website conversion outcomes." Allows digital marketing, eCommerce agencies to test web design and content options to improve website conversion outcomes. Allows creation and visualization of alternatives. Allows clients to easily see test options along side outcomes. Outcomes improve when good engagement and alignment between business unit leadership, digital marketing, and their website design agency. User Review: "Webtrends Optimize is OK"
I used Webtrends to create various landing page and order form tests and felt pretty confident that the results I was getting were valid and projectable. It's far more difficult to set up tests than, say, Optimizely, which makes one less inclined to use it for random, off-the-wall tests. As high as our hopes were, it was just an OK experience. Have gotten much better results with Optimizely in the time since. With Webtrends Optimize, users can easily perform A/B or multivariate testing and conversion rate optimisation that improves their customers’ digital experiences across channels, devices and business units. It is available as either a self-service, fully managed service or a combination of both in a Hybrid solution, all at a fixed annual cost. And because an effective testing program is a combination of art and science, Webtrends Optimize offers a team of experienced optimisation consultants and strategists who are dedicated to meeting an organisation’s goals and helping them achieve exceptional results.